An implantable bioartificial kidney may be ready for human trials by the end of the year, according to a recent update from the researchers. If approved by the FDA, the breakthrough creation could save thousands of patients currently on the transplant list for a new kidney. 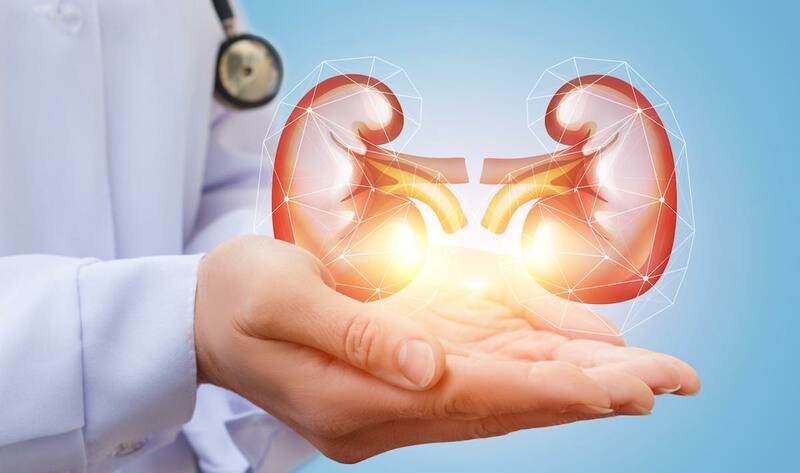 The Kidney Project, which is the coalition heading the contraption’s development, published an update today saying that they have been asked to conduct additional preclinical testing before receiving approval for human trials. The project, which is headed by researchers from the University of California San Francisco (UCSF), the University of Vanderbilt, and the National Institute of Biomedical Imaging and Bioengineering (NIBIB), says that they are optimistic about receiving approval for the trials by late 2018 or early 2019. The coalition first started causing buzz on the internet after they published their groundbreaking research back in February. Creating an artificial implantable kidney would be an epic advance in medicine and could address a chronic shortage of donor kidneys needed for transplant. Researchers have been at this quest for the past 15 years and keep coming upon one extremely knotty problem: how to keep the blood flowing smoothly through the artificial device without clotting. In such devices, as blood platelets respond to mechanical forces, they have a natural tendency to clot, causing a device malfunction. While dialysis saves thousands, if not millions, of lives each year, it is not an ideal solution for kidney disease. Instead of continuous blood filtration, which keeps blood chemistry within a healthy range, dialysis results in ultra-cleansed and nutrient-depleted blood, which becomes gradually more toxic until the following dialysis treatment. An artificial kidney would provide the benefit of continuous blood filtration. It would reduce kidney disease illness and increase the quality of life for patients. While researchers have made progress on wearable models, to make the device implantable—driven by the body’s own blood flows—the clotting problem would need to be resolved. The implantable artificial kidney—a bioengineered device that combines a high-efficiency silicon filter and a bioreactor of kidney tubule cells– is designed to accommodate up to a liter of blood per minute, filtering it through an array of silicon membranes. The filtered fluid contains toxins, water, electrolytes, and sugars. The fluid then undergoes a second stage of processing in a bioreactor of lab-grown cells of the type normally lining the tubules of the kidney. These cells reabsorb most of the sugars, salts, and water back into the bloodstream. The remainder becomes urine that is directed to the bladder and out of the body. CHECK OUT: 8-Year Study Shows That Simple Treatment Can Reverse Type 1 Diabetes to Almost Undetectable Levels! The researchers generated simulation and optimization results for two device designs that each channel blood through the artificial kidney filter system. Through simulation, they calculated that an individual platelet may flow through the artificial kidney as many as 1,000 times, accumulating stress and increasing the tendency to clot with each pass. One design distributes blood through parallel channels that pass across multiple layers of filtering membranes. The other channels blood back and forth through a single serpentine path. Both designs met the researchers’ predetermined criteria for the uniform flow of blood through the devices and accumulation of shear stress forces on the platelets against the walls of the device flow channels. The simulation approach has accelerated the project by saving on animal experimentation and offering a viable alternative to examine the pros and cons of different devices that contact blood. “To do that in animal studies is time consuming, expensive, and at some level you never know if it is going to work out—because animal blood is not the same as human blood,” said Shuvo Roy, one of the study’s co-authors. The Kidney Project says that they have already received an abundance of applications for the human trials. Screenings will proceed once they receive approval from the board of ethics.